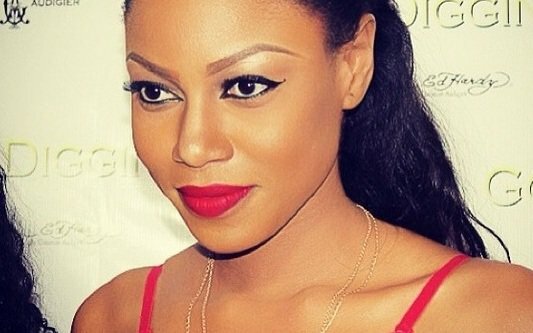 Ghanaian Actress, Yvonne Nelson has revealed that she dumped her fiance to become a baby mama.She was reacting to the backlash from controversial Ghanaian marriage counselor, Rev. George Lutterodt, that Yvonne is Stupid for giving birth out of Wedlock. In an Interview with Wow Magazine, Yvonne disclosed that an ideal guy proposed to her on her 30th birthday but she dumped him because he wanted her to move to London. She said although people change their whole life for marriage, that was not something she wanted to do. When asked of her reaction when she knew she was pregnant, Yvonne said ‘’I wasn’t sure but I suspected I was. I was in London at the time with my man. I was so ready; I knew this was what I wanted at this moment in my life. I pray to God all the time and I tell him that I want to start a family and have kids of my own, It was part of my prayers so I just knew that I’m not married but this is what I want to do. So when I did a test and it came out positive, I was truly happy. That expressive word'dumped' sounds vulgar and arrogant. You are not been fair to the man that you had affair with. Its like you just used and discarded him like a disposable glove. Where is the love and respect? Should the man be the one narrating all these rubbish, everyone would have pulled down high heavens alleging his callousness and wickedness. Some people need to act their age really! You are so proud of saying you dumped a human being like you without any regard for his emotional state of mind. If he has done this to you and going on public medium like this, everyone would have chopped him to pieces with words. Hope you enjoy your "fabulous" live with your baby and baby father.